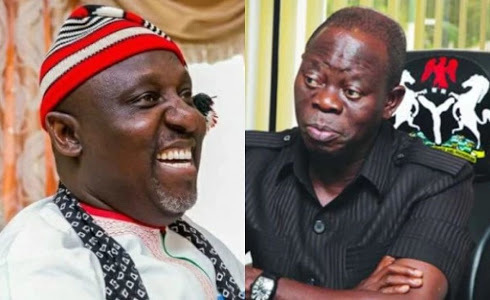 Governor Rochas Okorocha of Imo State on Thursday told his Kano State counterpart Abdullahi Ganduje as well as Senator Godswill Akpabio that the crisis in the APC in his state “has gone beyond what we can manage”. He regretted that despite helping to make Oshiomhole the national chairman of the party, the ex-Edo State governor “stole the mandate of Imo people”. He said despite the provocation he would remain in the party and ensure that President Muhammadu Buhari wins next year’s presidential election. He added, “Those Oshiomhole gave the tickets were not APC members, the worst political injustice in the history of Nigeria happened in Imo. The APC governorship candidate in the state, Hope Uzodinma, and Okorocha’s son-in-law, who is laying claim to the ticket, Uche Nwosu, were absent from the meeting. Meanwhile, fresh facts emerged on Thursday that all the aggrieved APC aspirants in Imo state will join Action Alliance and Democratic People’s Party early next week. 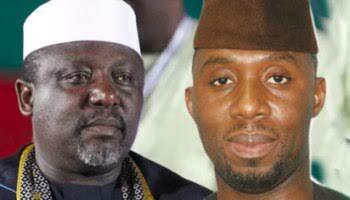 Okorocha had hinted that Nwosu and others might join another party.